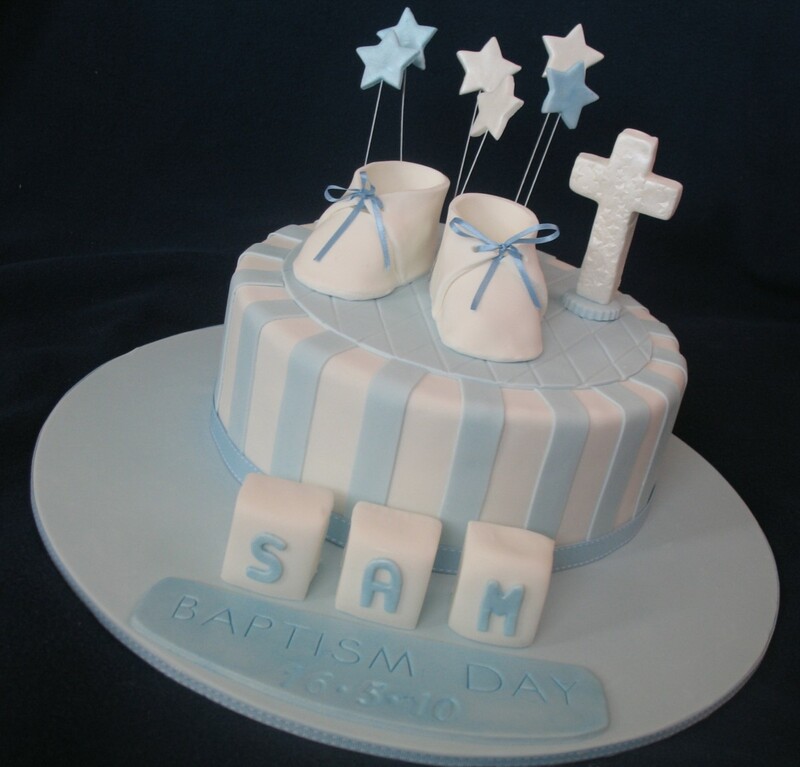 A single tiered Christening cake to celebrate this wonderful milestone in little Sam's Christian life. 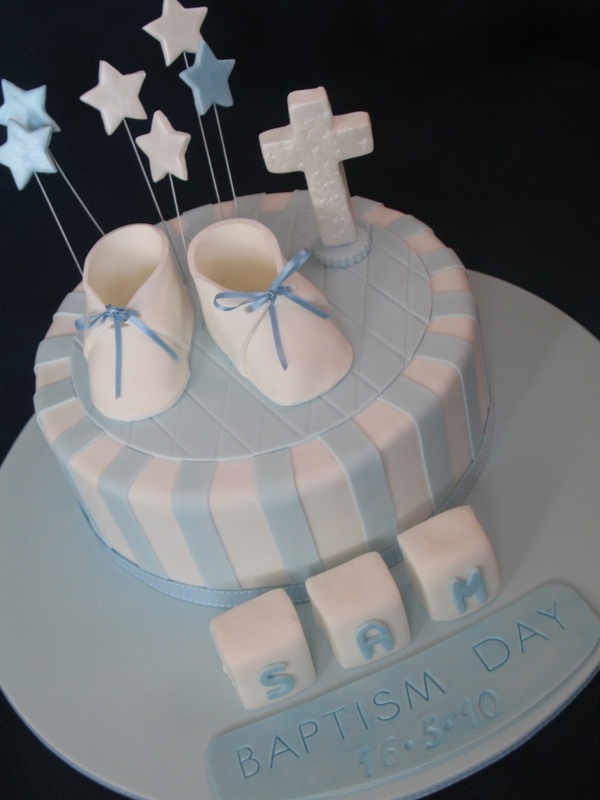 Little booties, stars and cross sat atop a little bed of quilting on this striped cake. 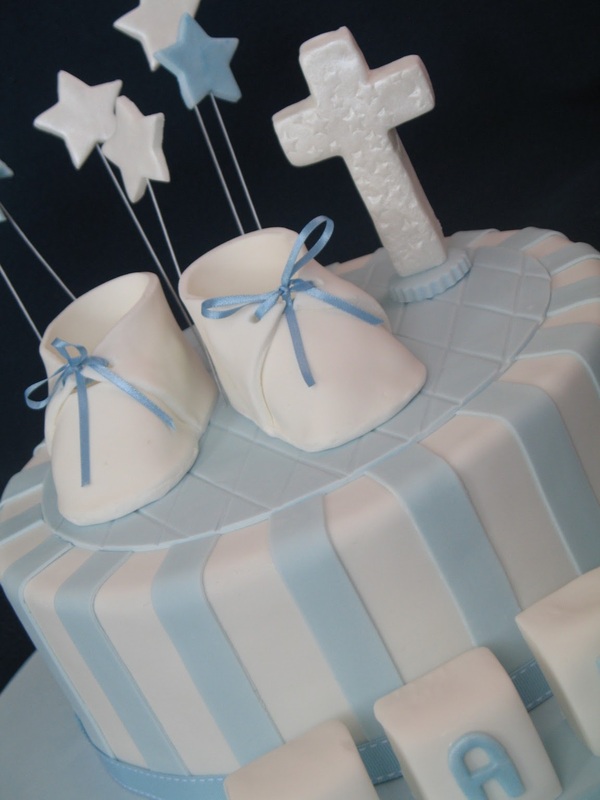 The cake is white chocolate mud cake with white chocolate ganache. The celebration lunch was held at Taste of Tuscany Italian Restaurant in Carlingford. 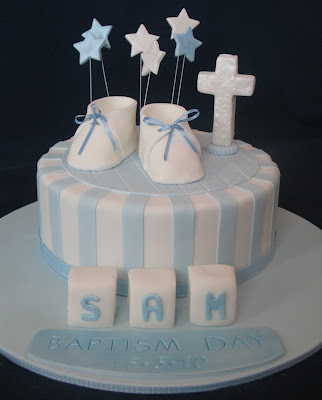 Happy Baptism Day Sam and may God bless you always. 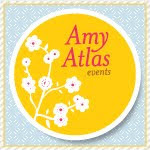 whoa nice! 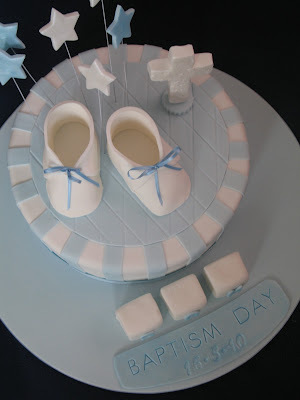 baptism cakes look nicer with fondant.